Anonymster is glad to offer you our complimentary Anonymous Https Web Proxy….because we value our readers. A simple way to gain anonymity on the internet without getting into your pocket. Surfing the net with our free tool will conceal your identity online making your activity on the web more secure and private. However, this tool shouldn’t be confused with a VPN connection. We are about to explain to you the difference between a web proxy and a VPN connection. Using our free tool is like a walk in the park. You don’t have to set up your device or change any setting in your browser. Just type the URL in the bar you see at the top of this page, and the magic will happen instantly. You will be connected to the website anonymously and free of charge. You can access geo-restricted websites, avoid censorship from your school, office, employer or government. You can surf the web anonymously and enhance your security online even when you connect to public WiFi hotspots. You may have heard about free web proxy servers selling your data to third parties, sending you aggressive advertisement, reducing security and so on. Possibly you’re now wondering: what’s the catch here, how will they get my money? Well, there’s no catch. For real! We are the good guys in the story, and we just want to prize our readers with a free tool. We don’t care about making money on it because it is not the objective of this website. Therefore, we don’t collect or store your data so we can’t sell it to anybody. You will not be bombarded by ads either. You can use it for as long as you like for free. But before you burst into tears of appreciation and set us up as your next superheroes, there is something we have to tell you. Free stuff is never like premium services. We’re sorry about it, but it is not either our choice nor our fault. All the web proxy servers (even the ones you have to pay for) come with flaws you need to be informed about before you use it. We don’t want anybody to get hurt here, so carefully listen as we will explain you everything about it. You may spare yourself some bad surprise. To understand how a web HTTPS proxy server work is not challenging. The web proxy is the labor you hire to do the dirty job you don’t want to do yourself. The labor will do it on your behalf and assume the responsibility for it. You will keep your hands clean but enjoy the benefits. In the same way, the proxy server does the Internet research on your behalf concealing your real identity. You can surf the net undercover. This is how it works. When you type any URL on it, you are connecting to the server that collects your request. At this point, the server looks for the information online using its identity. Your real IP address, instead, will be completely hidden. From this very moment, you become invisible on the web. The proxy server will connect to the website, look for the page you are looking for and send back the information to your device. As a result, you have access to the website but nobody knows it. Even if somebody tries to trace back to who is visiting the site, he will find the proxy server IP, and that’s it. No way they can refer to your real IP address. Here is an easy way to test that. Use our free tool to visit a few websites. After that open the “History” tab in your browser and have a look at the last sites visited. You’ll quickly see that the last page shown is our free web proxy page and nothing else after that. You have become invisible. This is a very handy tool that you can use in several scenarios. Accessing Free WiFi Hotspots. We highly recommend you to use it (or even better a VPN connection) every time you connect to a public WiFi. These hotspots are highly insecure and put your privacy totally at risk. Hackers find WiFi hotspots very easy to hijack and are an all-time favorite to steal data and hack devices. Hiding your real IP through our free tool will give you a certain measure of protection. Access blocked contents. Several websites use geo-restriction to limit access to their content. So, if you’re not connecting from certain locations set by the website owner, you will be denied access. Or maybe at your office or school, certain websites have been blocked, and you can’t check, for instance, your Facebook account or other Social Networks. Through the free HTTPS web Proxy, you can quickly go around these restrictions. Avoid censorship. The tool becomes very handy if you live or visit a country with an active censorship. For instance, if you are in China, simply access Facebook is a problem since the Social Network is banned. Whenever you find yourself in such a situation, you may use our free tool to access Facebook, Youtube, Twitter, eBay or other websites that may have been censored by the government. You may use our free tool whenever you want to make your activity on the Internet more private and secure. However, if you care about your privacy, you may read here how to protect your data online. Even though this is a fantastic tool, it comes with some limitations. Never make a mistake to think that a Web Proxy, either free or not, will give total anonymity and protection. This is not the case at all. It will add extra protection to your data, but it will not encrypt it as a VPN does. So there is still a chance for people to snoop into it. BitTorrent download. File sharing is illegal when copyrighted material is involved. If you get your hands on that, you become the target of surveillance agencies looking for law infringements. The Web Proxy doesn’t provide adequate protection. You may read our guide on how to download BitTorrent safely. Online Payments. Whenever you need to use your Credit Card, Paypal or any other payment methods to buy online, you need a bulletproof connection. Our free tool doesn’t offer that kind of connection so do not use it if you want your money to be safe. Streaming. Web Proxy has a tendency to slow down your connection so it may work with streaming content or it may not. In any case, it is not the best tool for a fantastic streaming experience. 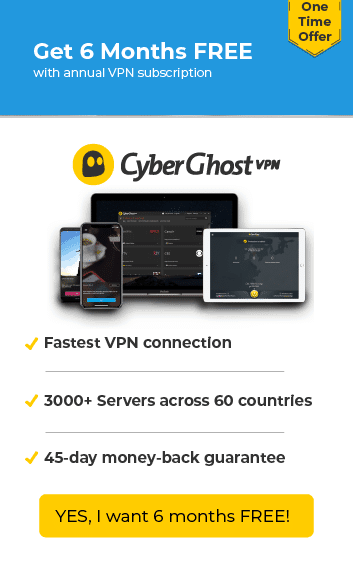 As good as it can be, it will never be as stable as some of the fastest VPN connections like ExpressVPN, CyberGhost VPN or Hidemyass. As a general rule, never use it for any task when security is a must. It may look like the difference between a Web Proxy and a VPN connection is minor. Both connect to a remote server to access the Internet and both conceal your real identity online. That’s what deceives several users, especially the ones that just reason in term of money and don’t see the point of paying for a service when they can get it for free. You simply need to look beyond the surface to understand that the two services are as different as black and white. The Web Proxy protects only the app you are using. For instance, if you are using Firefox to browse the net, only the traffic that goes through this browser is protected. Other applications like, for example, Skype or other browsers opened at the same time are still exposed. 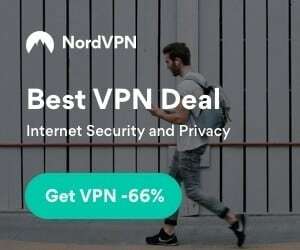 The VPN connection instead protects all your device. Once you install the software, it will automatically shield any application that goes online. Plus, if you set the VPN on your home router, all the devices that connect to it will benefit from the same protection. The Web Proxy doesn’t encrypt your data. This is one of the key points to keep in mind when deciding which tool to use. This is true for both free and paid services. The Proxy hide your real IP but doesn’t encrypt your data. That’s why sometimes it is faster than a VPN. The lack of encryption means that hackers, cybercriminals, government agencies or anyone who want to snoop into your private business may be able to do it. Not so with a VPN connection. The best VPN providers use VPN protocols and encryptions algorithm that makes it impossible to break into your data. >If you subscribe to one of the fastest VPN providers, you can have access to streaming contents like Netflix from all over the world without buffering problems. >Having your IP hidden all the time you will get the best deals when shopping online. Since you are anonymous 24/7, companies cannot collect information on your Internet behavior and therefore will not have any possibility to push annoying ads to you or adjust the prices to their benefit. >Government surveillance will be out of the picture. Even if they try to have a look at your private life and discover your businesses, they will end up empty handed since your data will be entirely shielded by the VPN connection. >A VPN is a must if you want to enjoy the Internet to the full. For instance, despite where you are around the world, you can follow your favorite sports events live, watch your country’s news, follow your favorite TV series in your own language, watch movies online, use Popcorn Time, unlock the US Netflix library, play online games and a lot more. Do you still believe that a Web Proxy and a VPN are the same things? We hope that at this point you’re not disappointed since you’ve no reason to be so. Our free Web Proxy is a great tool to add anonymity to your connection. Of course, is not the right tool for every task and it’s not the one-fits-all solution to Internet security. We didn’t set these limitations ourselves. Unfortunately, this is how this kind of tools work even if you are willing to pay a monthly fee for that. In any case, you are welcomed to use it for free when you have to perform minor tasks. Read the information on this page carefully, and you will quickly understand when our free tool is a wise choice and when it’s not. Look at things this way. You can use it free of charge and enjoy some of its benefits. So, feel free to play with it as long as you like and experience the benefit that such a tool may offer you. At the same time, make good use of this experience to think of how much more benefits you can enjoy if you give yourself the total protection that only a VPN connection can guarantee you. Just dedicate a few minutes to discover why 80% of users decide to buy ExpressVPN, how CyberGhost VPN protect your privacy or why HideMyAss is great even for inexperienced users.